Do you care when there is injustice, fear, hate, hurt? Do you dare to use your mind and allow thoughts of care to enter? Or are you afraid your own hurt, your own thoughts of injustice, your own pain filled memories will show, will be felt? Do you rather keep this shield of ‘protection’ around you? Do you rather shield your self and hold on to your hurt? Do you think that’s the best way for you? To care does not mean you have to feel their hurt too. It does not mean you can solve their issues. You can acknowledge, to respect their experience, to show your compassion. Do you dare to show you care? 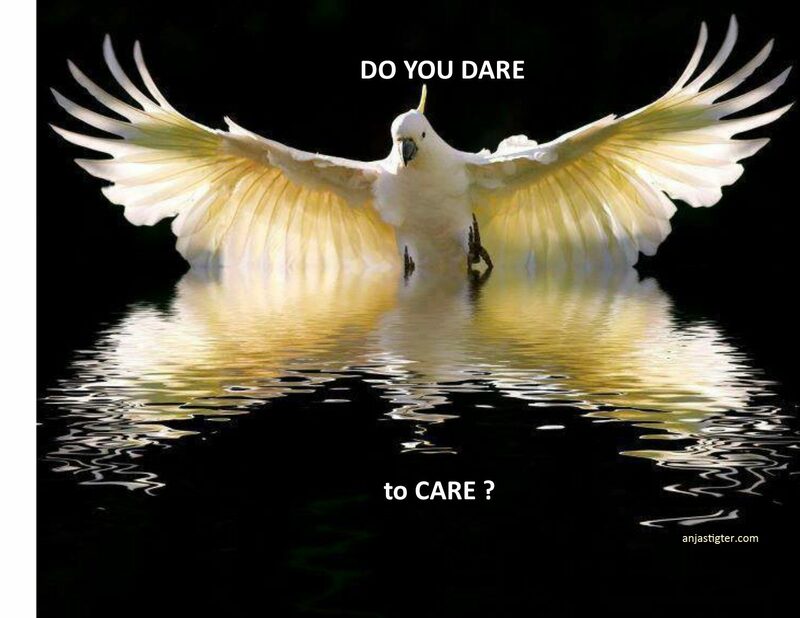 Do you dare to care for you? Do you dare to care for others?